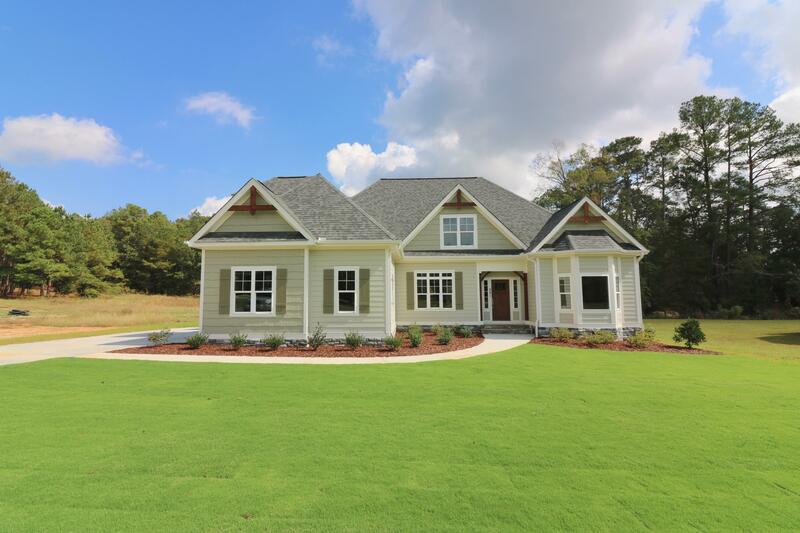 Lovely new construction in Heronsbrook. Large open plan, split bedroom layout. Living room with coffered ceiling and floor to ceiling windows that let in lots of light. A gas fireplace with a white surround and mantel complement the room. Formal dining room, beautiful kitchen with soft close white shaker style cabinetry and breakfast bar, plus also a sizeable breakfast area. Gas drop-in cooktop. A study with lovely bay window and closet could double as 4th/guest bedroom faces front yard. Laundry room and a half bath complete the main floor. On the 2nd floor is a bonus area, full bathroom, walk-in attic storage and a room that can be easily finished. Large fenced in back yard.